What I love about food is the sense of community, creativity, passion, and beauty. My dear and close friend (and OC resident) treated me to a memorable meal at the playground in downtown Santa Ana for my birthday. The playground embodies the qualities of a memorable dining experience and then some, leaving me longing for another visit as their menu changes daily. Led by Chef Jason Quinn (he was on Food Network’s Chopped), they take their food seriously in the sense of the highest quality, seasonal ingredients but in an unpretentious way, served tapas-style so you can try a variety of flavors, techniques, and ingredients (and b.y.o.wine). Their food philosophy which is presented with their menu is unabashedly asking diners to trust them; submit to our whim. Isn’t this why we go to the movies? Read books? …to immerse ourselves into a whole new experience. And an experience it was. I thoroughly enjoyed everything we ordered. 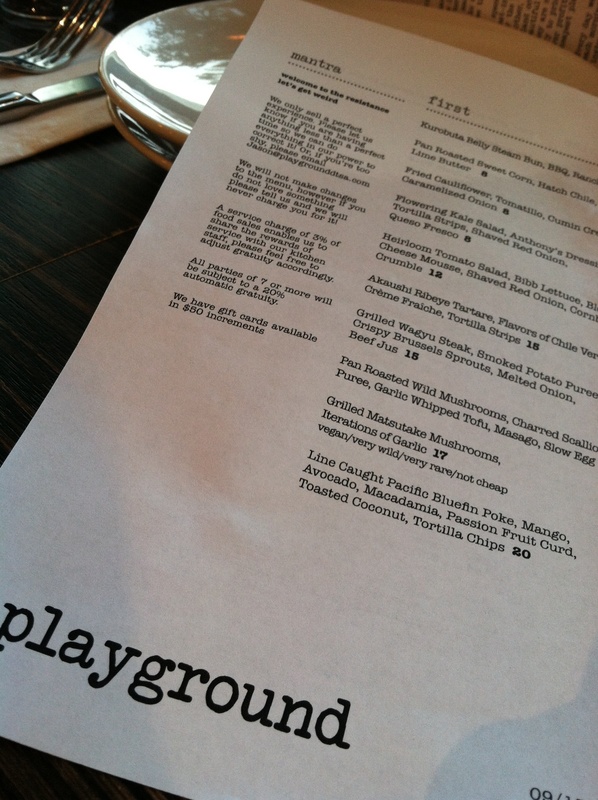 I wholeheartedly recommend you take a chance on the playground for a cozy and memorable meal (do make reservations). I would recommend at least coming with a party of 4 so you can order a variety of dishes. 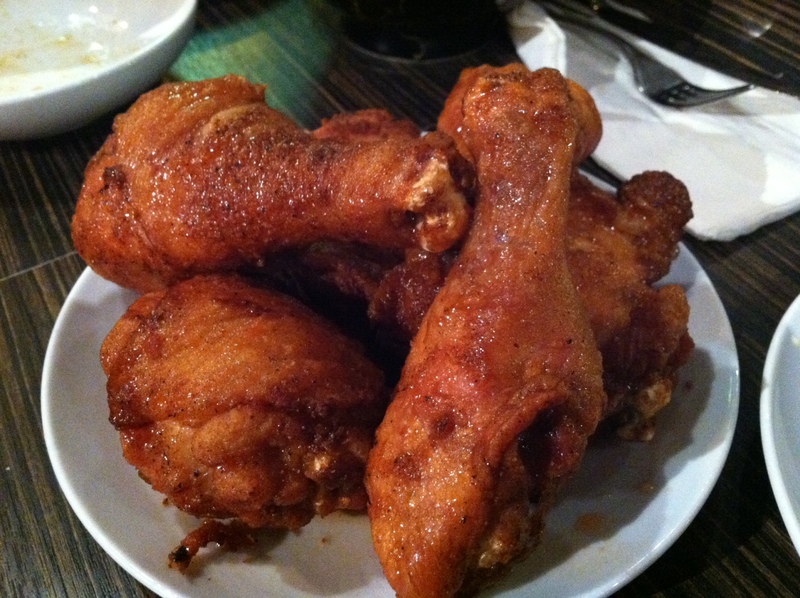 By the fried chicken dish, I was as good as a stuffed turkey and packed most of it to-go. Oh, and don’t forget to bring a bottle of your favorite wine (no corkage fee; YEah!). Also, I’ll put in a plug for Crave (a few blocks away) for their fresh salads and sandwiches in an airy restaurant (don’t leave w/o a cookie as they are to.die.for). 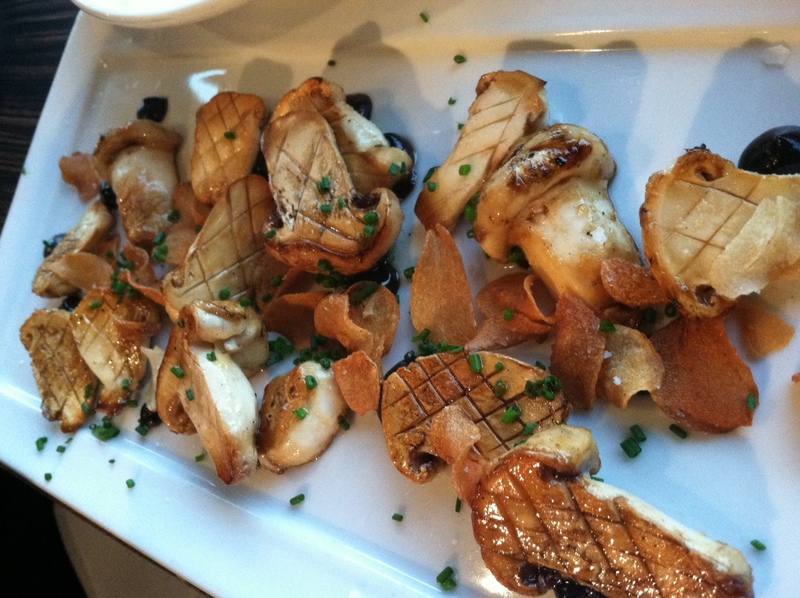 This entry was posted in chefs, good eats, restaurant reviews on November 23, 2013 by honeyandlimes. 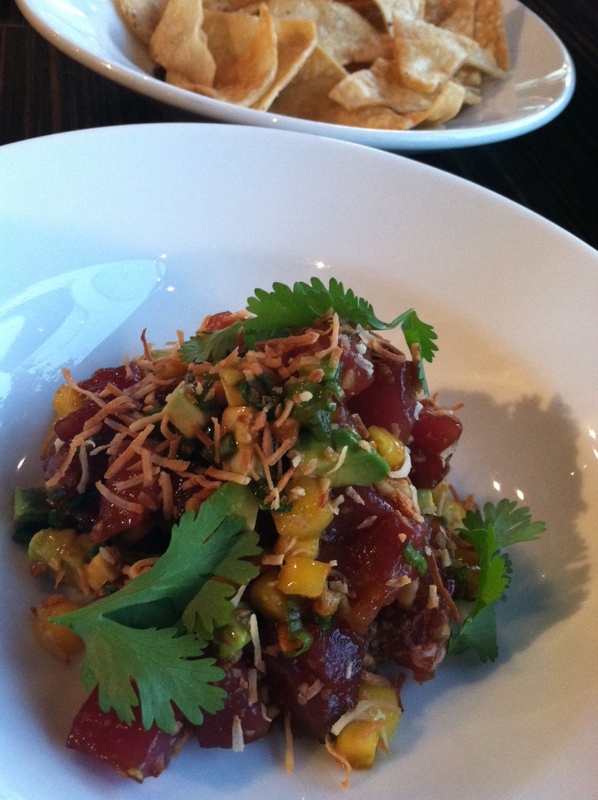 Our first night in Boston, we took a short bus ride to this Asian fusion restaurant, Myers+Chang. I’m a bit weary when I hear fusion but it was a much needed pick-me-up after a 5+ hour plane ride. Our favorites were the papaya salad, Indonesian fried rice (below, top right, bottom left), and their dan dan cold noodles in a peanut sauce. Despite being a busy Friday night for the restaurant, we had ice waters (noticeably sweating from the humidity we’re not accustomed to) and seated at the window within 10 minutes. The highlight was meeting Chef Joanne Chang as she came by and asked us how the food was!!! She even liked MY Instagram pic! I’ve been a big fan ever since she beat Bobby Flay on the Food Network’s Throwdown with her signature sticky buns (keep reading). 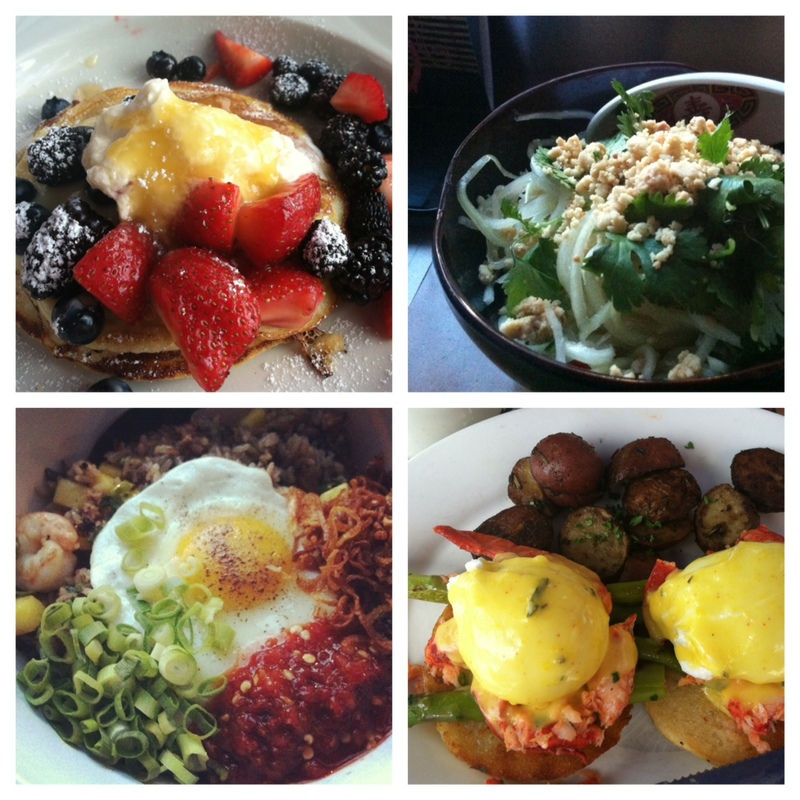 We went to Cafe Luna for Saturday brunch in Cambridge (top left, bottom right). I ordered their lemon ricotta stuffed mascarpone pancakes with lemon curd. Probably one of the best brunch dishes I’ve ever had. These were so light and fluffy, perfect for the hot day with my iced chai latte. Julie had the lobster eggs benedict (bottom right). Doesn’t it look savory and decadent? She was saying how fresh the lobster was in her dish. We were very impressed by this small sidewalk cafe (which was packed on a Saturday morning, as good ones should be). The owner was so friendly and kind to us as we learned he’s originally from OC. 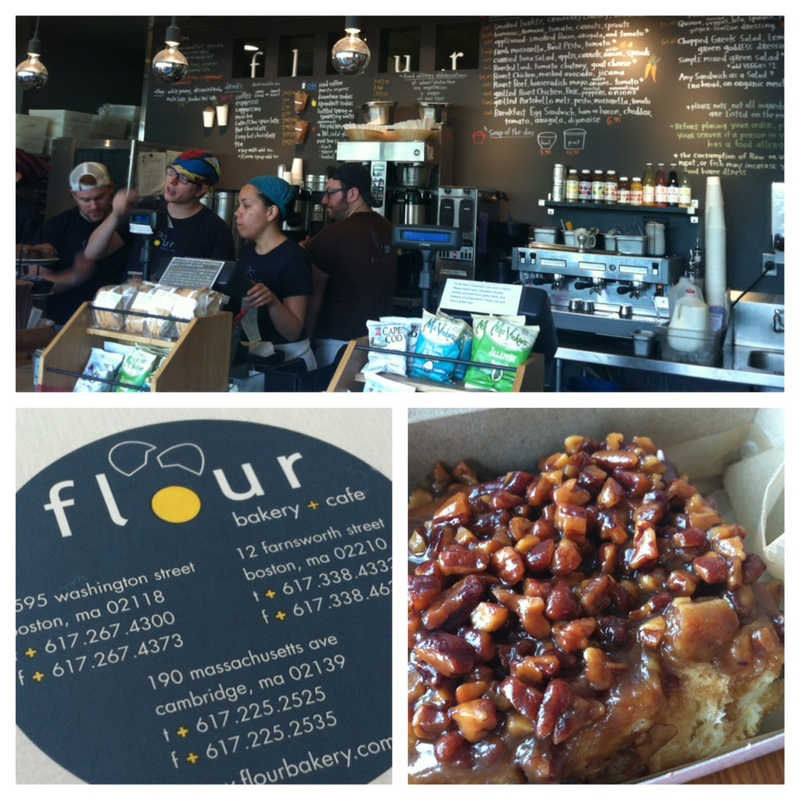 Day 2 continued: Flour Bakery in Cambridge. A few blocks from Cafe Luna is one of 3 Flour Bakery locations. The first one opened in 2000 and has become an integral part of the city. Chef Joanne Chang has not only the bakeries, her restaurant, and also 2 cookbooks to her empire :). Despite our stuffed bellies, we HAD to sample their desserts. They’re famous for their sticky sticky buns (below). OMG! Very gooey and a generous amount of pecans. I also had a chunky lola cookie (choco chip oatmeal cookie w/coconut and pecans), which was even better! I found the cookie recipe online and baked them last weekend (foolproof!). I bought home some goodies from this bakery including coffee beans and their signature granola, both taste so good I wish I bought more. My parents really liked their coffee beans for a smooth taste (says a hint of chocolate, but I can’t tell). What’s interesting about Chef Joanne’s background is she graduated from Harvard w/a dual Bachelors in economics and mathematics to work as a management consultant only to realize her true passion was becoming pastry chef. If you’ve ever baked, you understand the art and science of baking. How cool is that? We also explored the South Boston as our conference was a short walking distance to this up-and-coming area (NPR just did a story on this area). We found this gem of a restaurant, Sportello, one of Chef Barbara Lynch’s restaurants (she has 8 or 9 eateries and mentored the last Top Chef winner). The concept of the eatery is casual Italian diner with countertops covering most the restaurant and an open kitchen + bakery. It’s so cute and inviting. 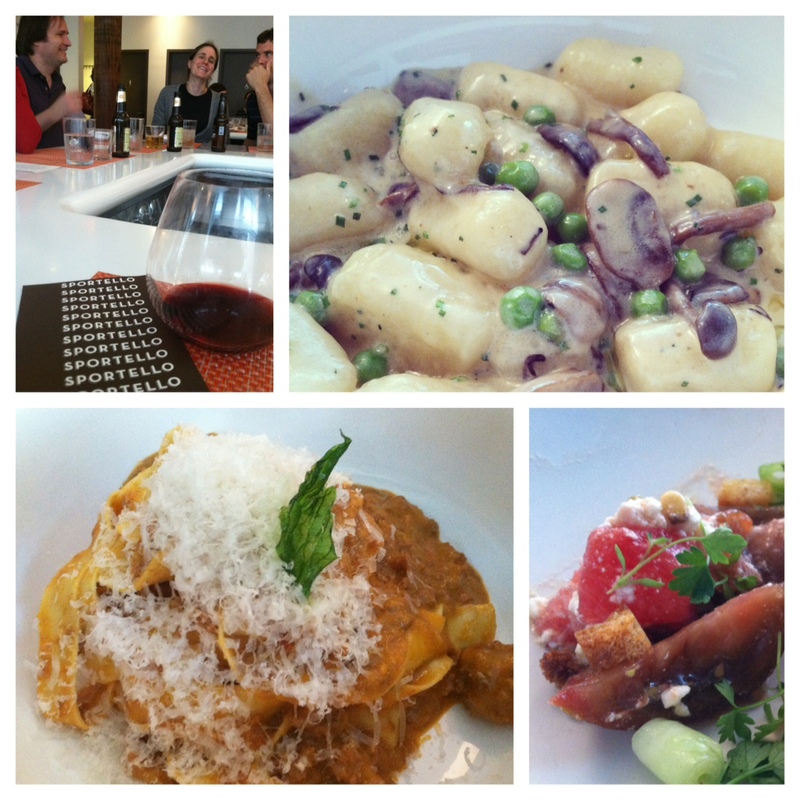 Most notable was their handmade gnocchi and tagliatelle with bolognese sauce. The simplest dishes are the hardest to pull off and they make it look effortless. Shout out to our server Ethan who was amazing. I love exploring new cities because you stumble upon places that locals frequent like Barrington Coffee Roasting Company, a few doors down from Sportello. A simple cafe with high quality coffee. Their iced coffee hit the spot on those hot summer days. 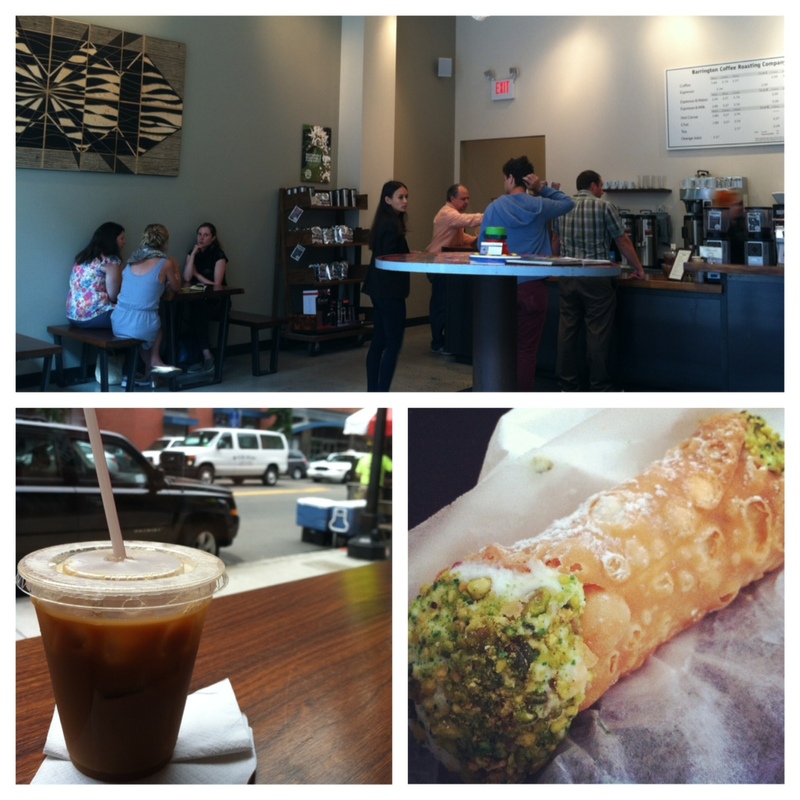 We also made room for cannolis at Mike’s Pastry in the North End after a full meal. $3.50 for a pistachio cannoli in a small, always crowded Italian pastry shop (cash only). Hope this gives you a little taste (no pun intended) of good eats in Boston. Stay tuned for Boston part 2 later this week. Too much good content to cram into one post. This entry was posted in cheap eats, chefs, cookies, cool neighborhoods, dessert, foodventures, Italian food, restaurant reviews, travel and tagged brunch, chef barbara lynch, chef joanne chang, coffee, Italian food, pasta, pastries, restaurants on July 22, 2013 by honeyandlimes. So you’re familiar with David Chang of the NYC Momofuku empire (I’m dying to try the crack pie), Roy Choi of Kogi truck, and Sang Yoon of Father’s Office. How about Edward Lee, Judy Joo, and Corey Lee? 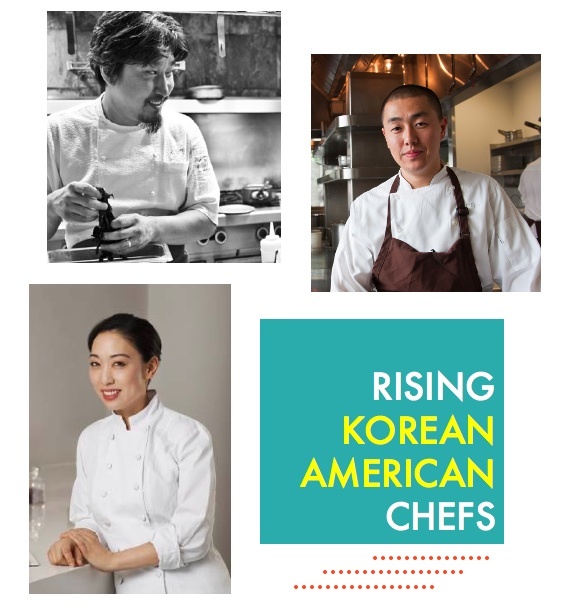 These rising chefs are gaining momentum as they infuse familiar Korean and Asian flavors with classical techniques and traditions. 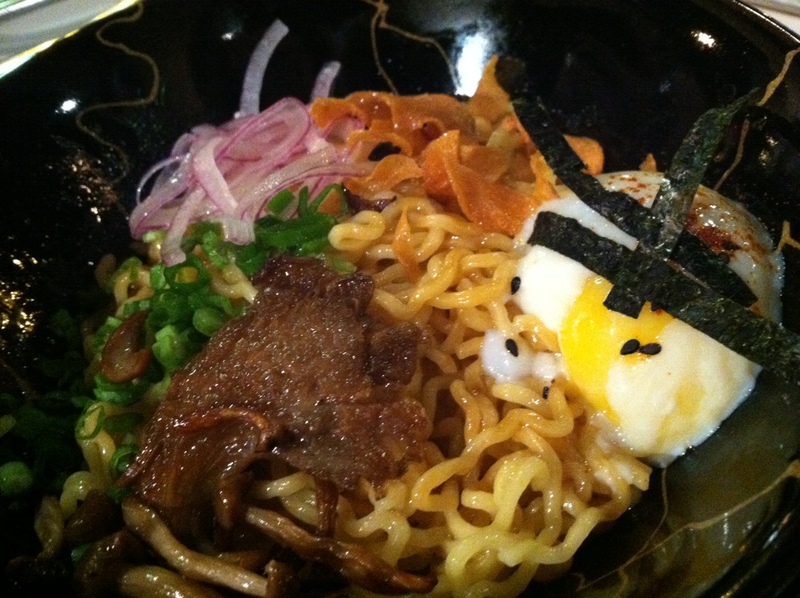 I don’t think it’s a coincidence that as Korean food (beyond galbi and bibimbap) are gaining traction in our food (fad) obsessed society, these chefs are gaining recognition for their innovative fusion. If I had a chance to talk to these chefs in person, I’d love to know what their parents think about their choice to pursue a culinary career 🙂 Check out the profiles below. serendipity: stumbled upon 610 Magnolia while in town for the Kentucky Derby in 2003. The following year, he became co-partner and executive chef. 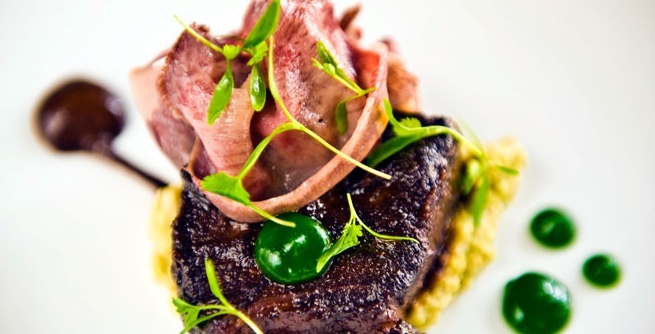 accolades: 2011 finalist for the Best Chef Award Southeast by the James Beard Foundation; beat out Iron Chef Jose Garces in 2010 (challenge: beef cheek and tongue). true to his roots: he slathers black barbeque sauce on pork and bison, a riff on galbi sauce. why he wants to win Top Chef: prove to his parents that cooking is a legitimate profession. experience: he’s learned from culinary masters including Gordon Ramsay and Thomas Keller and co-authored a cookbook with Keller on sous vide. 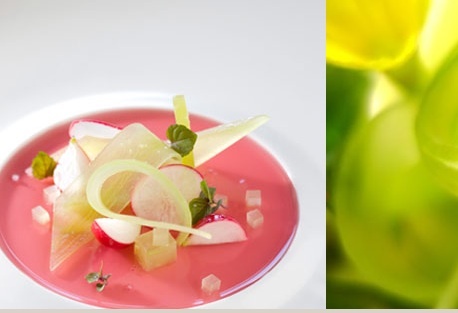 accolades: James Beard Award, received 2 Michelin stars for Benu. career changer: She graduated from Columbia University with a degree in engineering and then worked in Wall Street as trader before attending the French Culinary Institute and working at Gordon Ramsey and other notable restaurants like The French Laundry. no interview required: while dining at Gordon Ramsey, she introduced herself to the notorious chef and was hired, working in his kitchen for 2 years. watch Judy on: the Next Iron Chef on the Food Network (also on Hulu) as a judge. This entry was posted in chefs on November 27, 2011 by honeyandlimes.